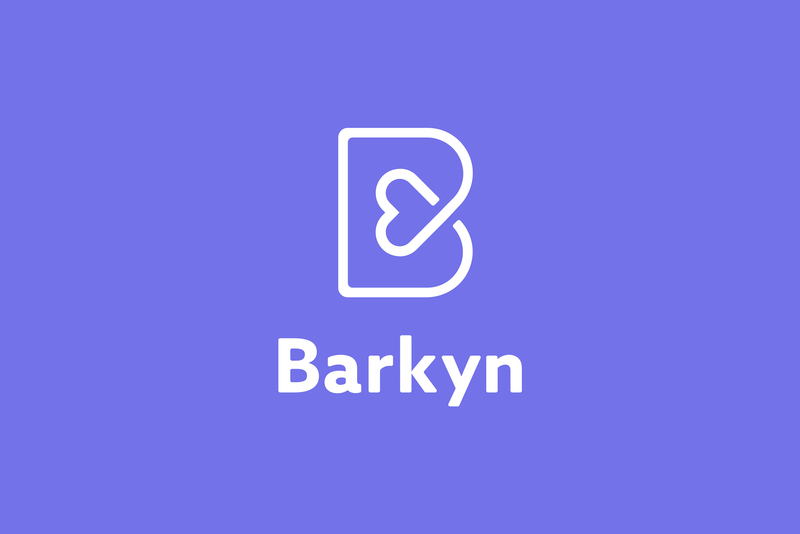 Barkyn is everything you need to make your dog happy in only one place. 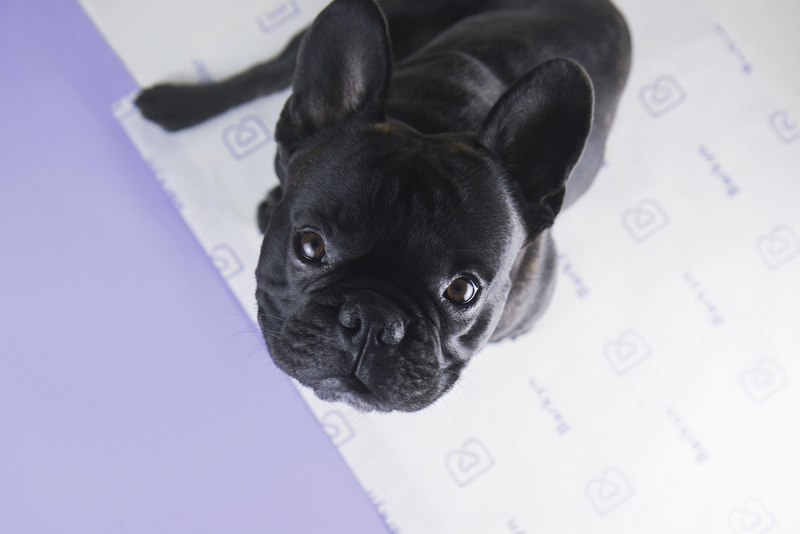 It's an online shop with treats and all the care with a personalised follow-up. 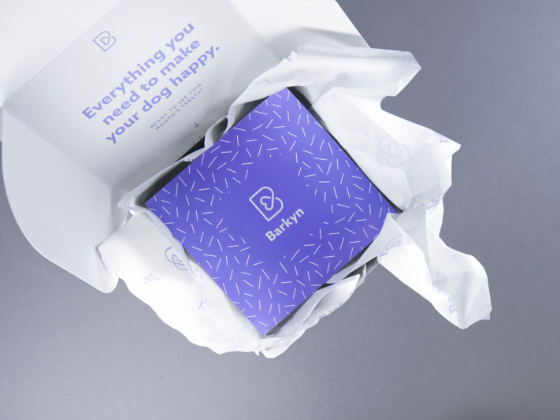 The main feature is the Barkyn Box — a monthly packaging delivery for dog owners with 5 to 7 different snacks and a toy, adapted to the size of your dog. 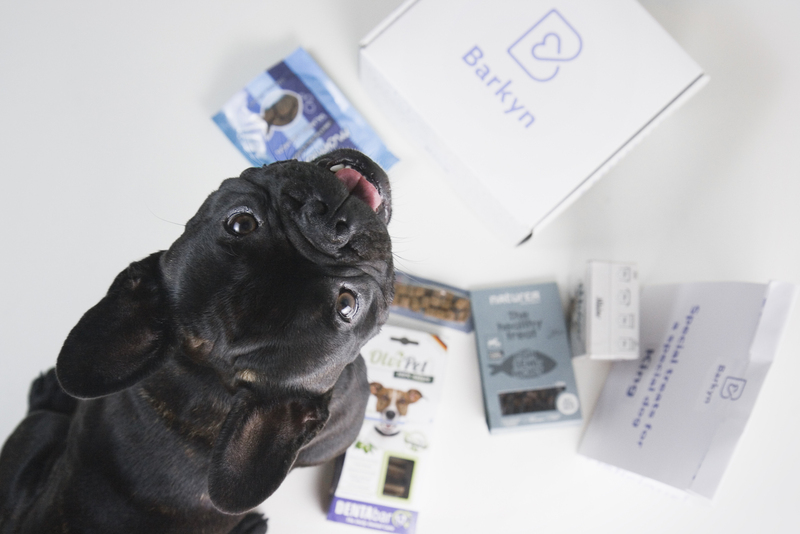 For dogs, it's an explosion of happiness! 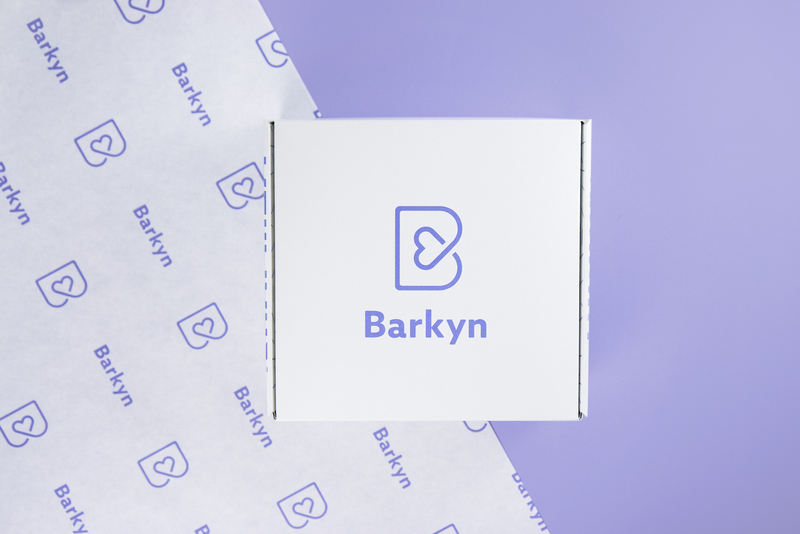 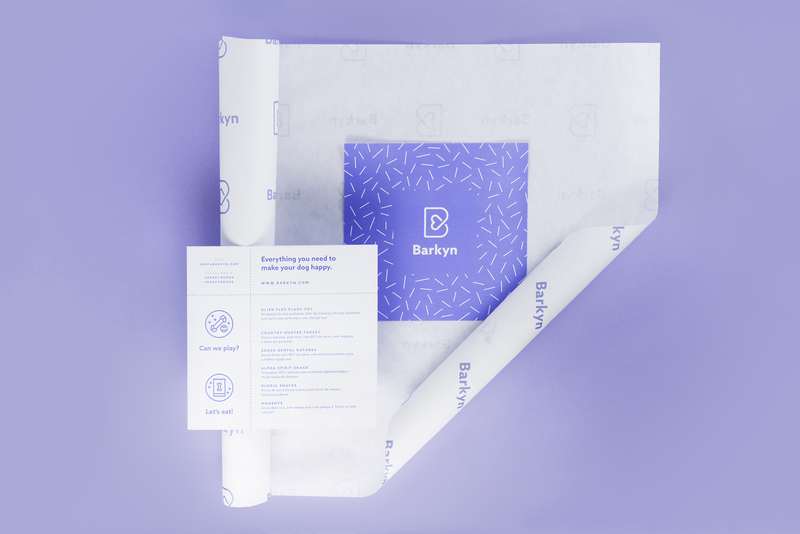 In April 2017, Barkyn decided to launch an even more personalised and premium tone to its brand, refining its logo and packaging. 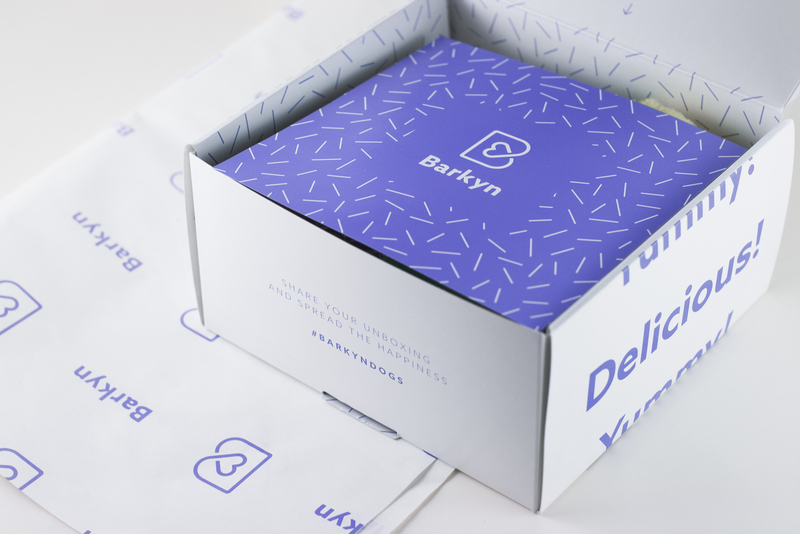 The branding was done by Scytale and we were commissioned to design the packaging. 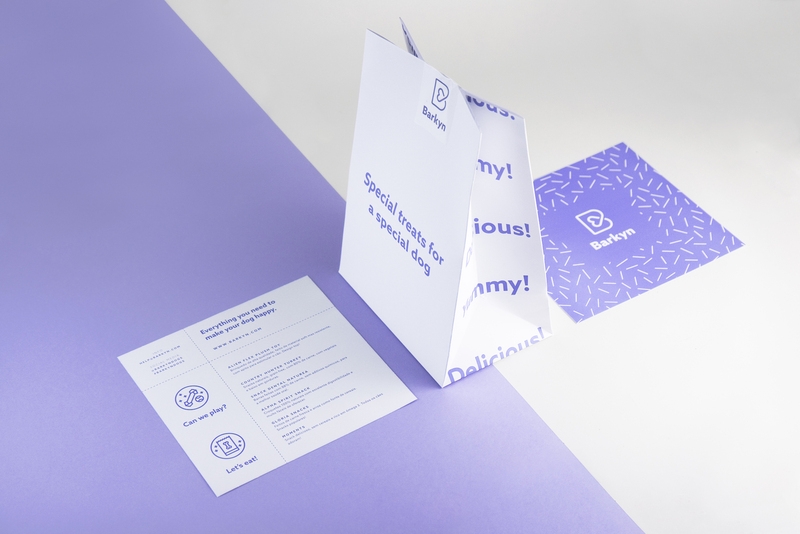 The brand was brought to life with a minimal yet light-hearted approach. 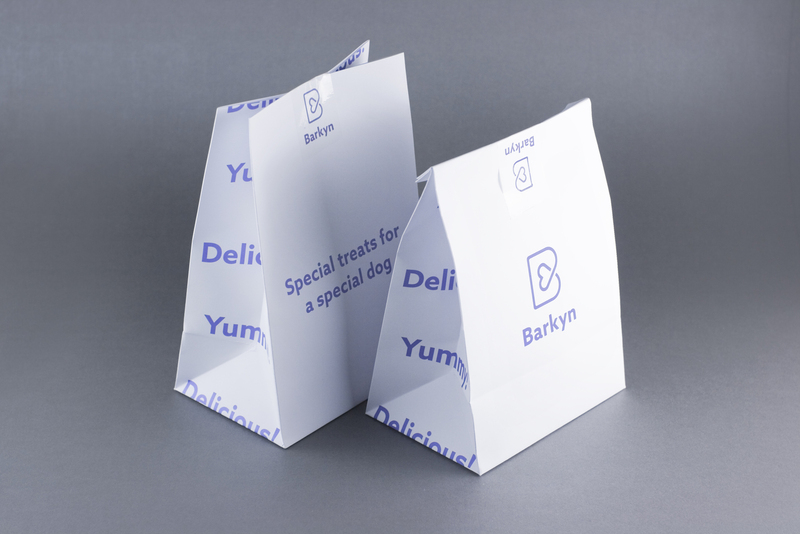 To differentiate its packaging from the competition, we chose a white background instead of the tradicional craft. 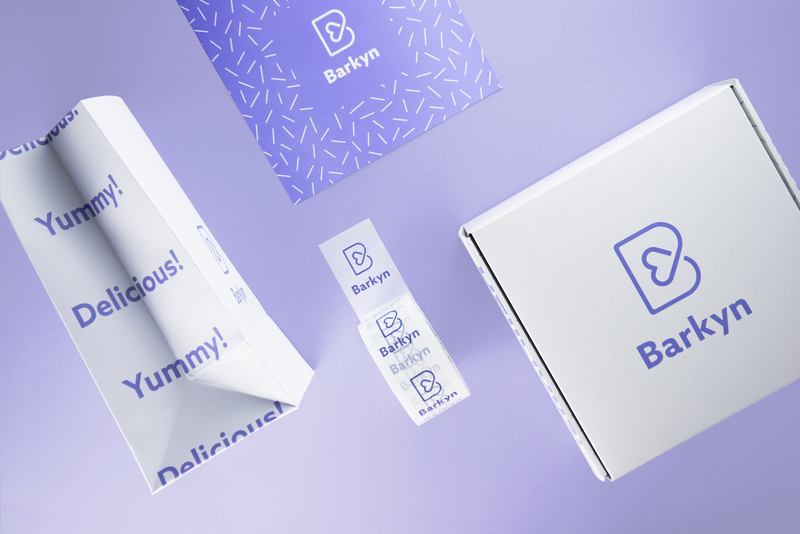 Combining the new striking color with the playful copy, we created a set of packaging that stands out as a premium yet emotional brand. 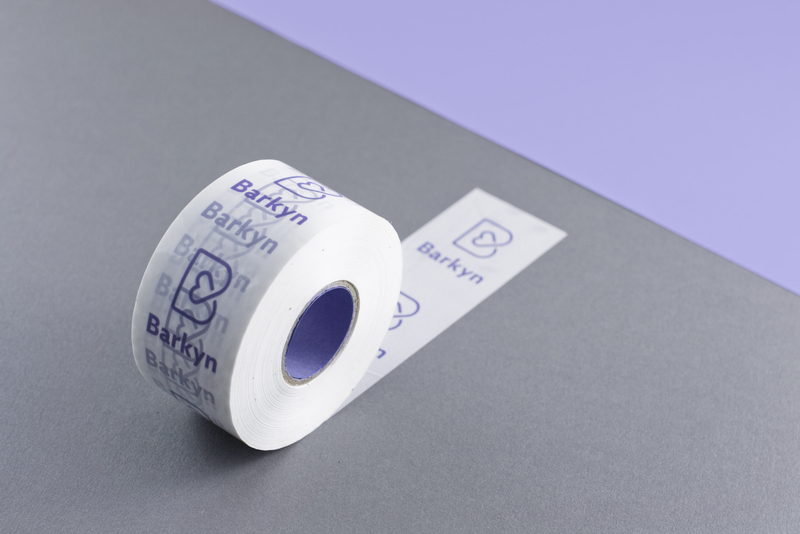 To ensure the brand’s aesthetics and promote an unique unboxing, we also designed the collateral merchandising, such as tape, stickers, postcards and wrapping paper. 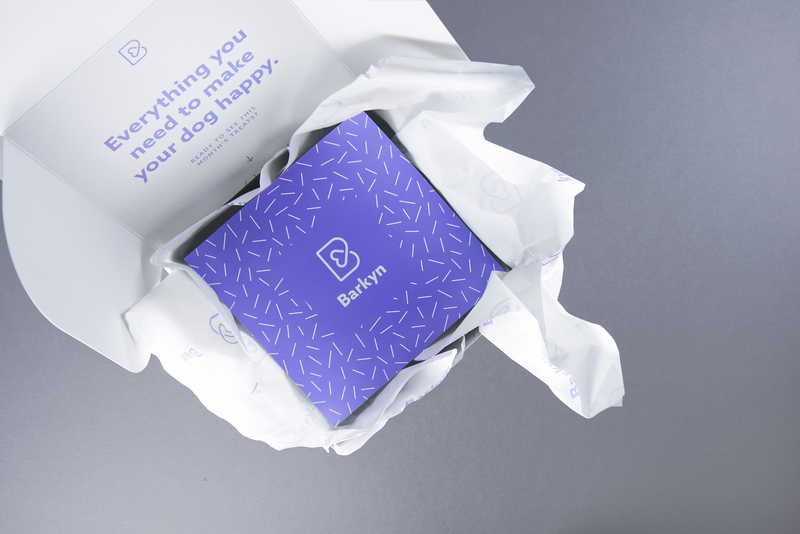 We've made a subscription box attractive — instead of using the traditional plain cardboard with a brand's sticker, we tried to have a more seductive approach to the unboxing act.